The solo exhibition of Marina Paulenka, last-year’s award-winner of Photonic Moments’ portfolio review, showcases her recent documentary-based project entitled The Other Home reflecting the crude reality of a female penitentiary in Požega, Croatia. This is the only female prison in Croatia where more than 130 inmates serve their sentences of six months or more. Adhering to strict prison legislation that stipulates prisoners cannot even be filmed or photographed anonymously, so as to protect their identity, the photographer focuses on the details revealing human presence and on traces of intimacy in the depersonalised institution. Within the same story, Paulenka presents six chapters: Six clusters of photographs through which she visualises topics such as womanhood, intimacy, motherhood, home, surveillance and punitive architecture. By documenting dormitories, cells, bathrooms, and personal belongings of the inmates, the photographer emphasises the deprivation of their personal liberty and explores notions of “freedom” inside or outside the architecture of supervisory institutions. Furthermore, she compares the architecture and structure of a penitentiary to a family home, which is often the model under which the prison system operates. Its purpose is “re-educating women”. According to certain feminist theories, the family home is perceived as an environment in which a woman is simultaneously the subject and the object of constant control. 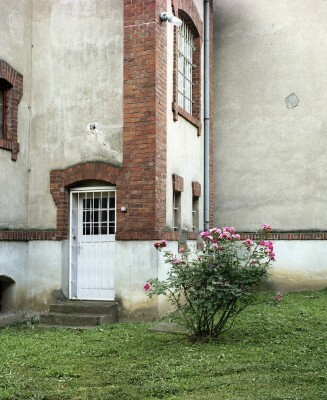 Paulenka subtly draws out this comparison in her photographs. The process of documenting these sensitive social issues has taken place over a period of 18 months while special permission to photograph the penitentiary had to be obtained from the government. The reason Paulenka decided to document the only female penitentiary in the country is above all the stigmatisation of female criminals, which is much more prevalent than with male offenders. She was also eager to explore the phenomenon of the high security institution and its surveillance structure that, for a certain period of time, becomes the other ‘home’ for the inmates. However, it is not very likely that such a clinical, impersonal space could really replace home and engender the notion of homeliness among its inhabitants, try as they may to domesticate the cold punitive institution.